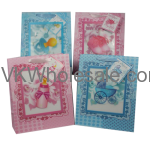 Good quality baby gift bags wholesale. Perfect for baby shower gift giving. One of the bestseller gift bags. 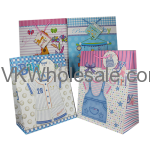 Buy baby gift bags wholesale and start saving. Minimum quantity for "Baby Gift Bags Jumbo 12 PC" is 1. Minimum quantity for "Baby Gift Bags Large 12 PC" is 1. Minimum quantity for "Baby Gift Bags Matt Jumbo 12 PC" is 1. Minimum quantity for "Baby Gift Bags Matt Pop Up W/Glitter Medium 12 PC" is 1. Minimum quantity for "Baby Gift Bags Pop Up Medium 12 PC" is 1.